Two moo arrivals at Muckrach! 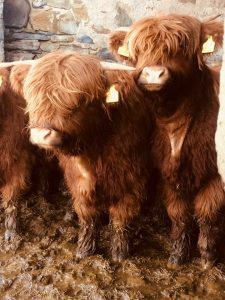 After the sad loss of the locally adored Archie the Highland bull, Muckrach has been on a mission to find some new Highland bulls. After lots of research and phone calls we finally found a young pair. 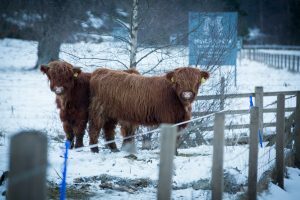 On the morning of Thursday 22nd February we welcomed two Highland bulls to their new home at Muckrach. They were a little nervous to begin with however they soon settled in and were jumping around. The same afternoon they went on an adventure together (to check out the local area and meet their new neighbours) and a few days later wandered up to the hotel. They have since settled into their field. When they arrived the Highland bulls were called 872 and 860. However, the two have now been named by our customers, so we are incredibly excited to introduce you all to Dougal and Hamish! They are both very friendly and love meeting all our visitors. Colin, the local farmer, is looking after them. Mark, the General Manager, treats them as his pets and makes it is his first job in the morning to go and see how they both are. Next time you visit us come and say hello to the boys. They love meeting new people and are happy to pose for a photo. 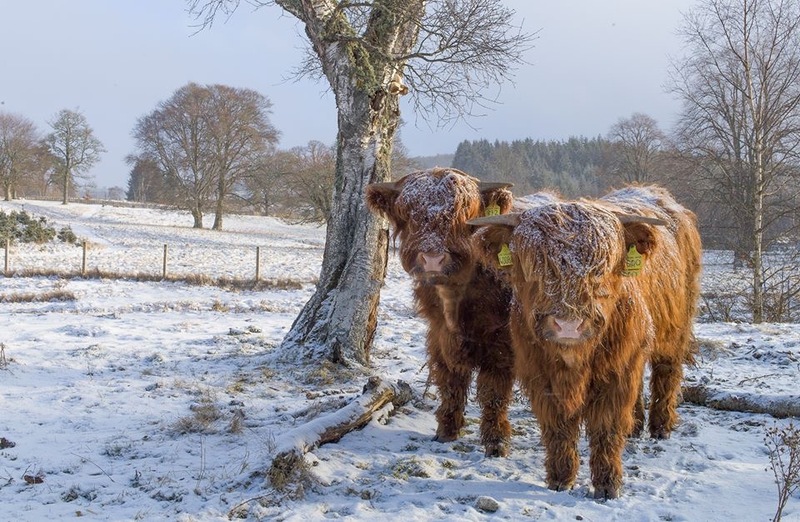 Remember to tag us in your photo using #DougalandHamish and #MuckrachCountryHouseHotel!